Our Customer Support Team tells us that one of the best things about working with Online Hosting Network is hearing the excitement in our customers' voices when they find out how easily they can customize their websites. When one of our customers changes the design of their site or adds a new page for the first time, their reaction is usually something like "WOW!" or "Awesome!"" And when they see their first earnings posted in their secure back office, it can really get exciting. And your back office will let you do a lot more than change the design and feel of your site. 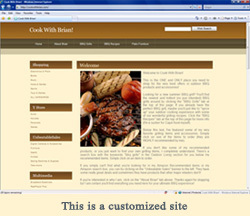 You can add new pages and change the products on each page of your site, as well as the way they're displayed. You can add new links and banners to every page, compose your own text content and even upload your own pictures. 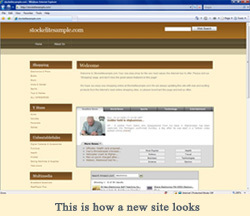 And you can change your site as often as you like! Optional advanced training programs are also available though our Business Development Consultants. It would be impossible to show you all of the options you'll have for your website, but these samples will give you an idea of the possibilities.